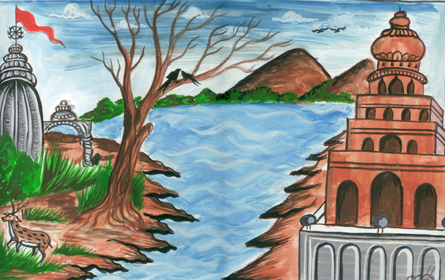 (Left) Srikanth's painting of a village temple. 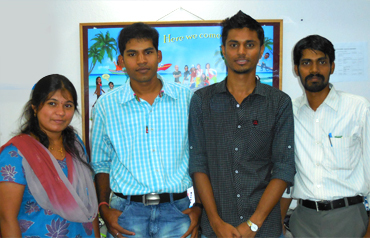 Srikanth (second from left) with his team members of Webbazaar, who relaunched Inspired Indian Foundation's website in 2014. It was in 2009 that we came across Srikanth Kumar Sahu, a security guard working in Bangalore. He was working at the office of Neev Technologies, the parent body of Webbazaar, which developed this website. 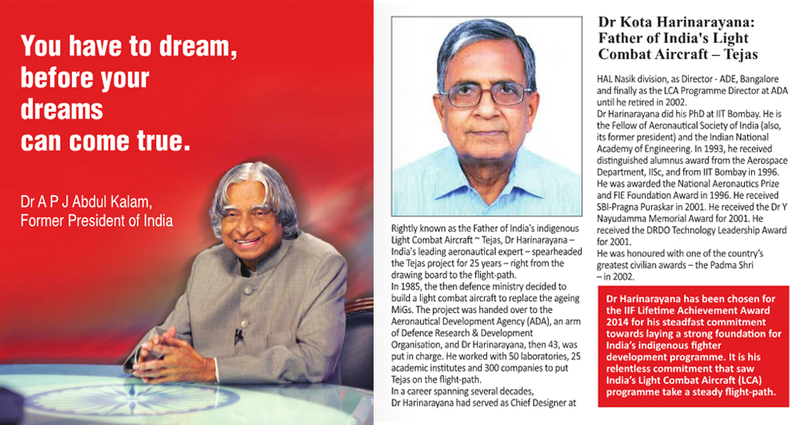 He was 28 years old then, and hailed from Orissa's Tolakani village. What many did not know then was Srikanth's hidden talents. He had to his credit over 5,000 paintings!. “When I was a kid, I dreamt of becoming a great painter. My father is a farmer and as I grew up, the responsibility of supporting my family fell on my shoulders. I had to leave Orissa and come to Bangalore looking for a job,” Srikanth told us, with a touch of disappointment written on his face. 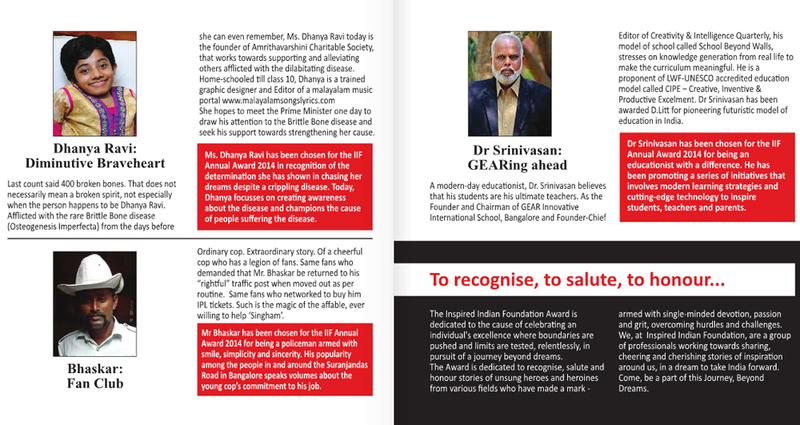 Life took a different turn for Srikanth after Inspired Indian Foundation published his story. Many came forward with monitory help as well. In 2010, Webbazaar gave him a job as a user interface designer. In the meantime, he got married and is blessed with a son, Swadhin. 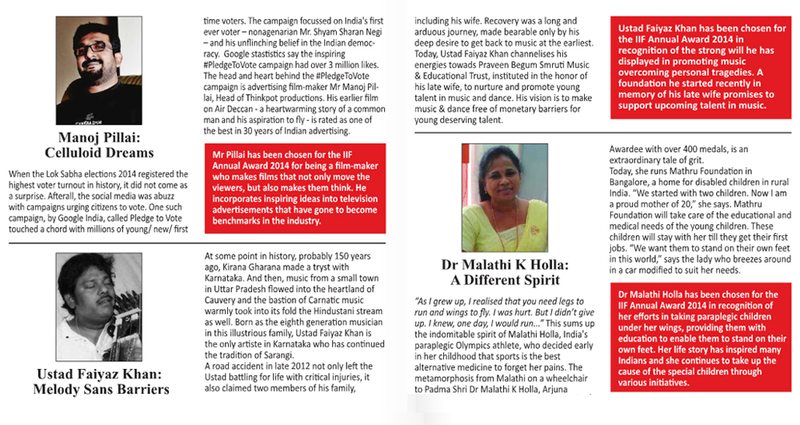 According to his colleagues Balaji, Mohammed Rashid, Purnima – Srikanth is a gifted designer with tonnes of patience. "I have done over 200 live sites so far. I want to become a developer. I hope to get all blessings,” says Srikanth. 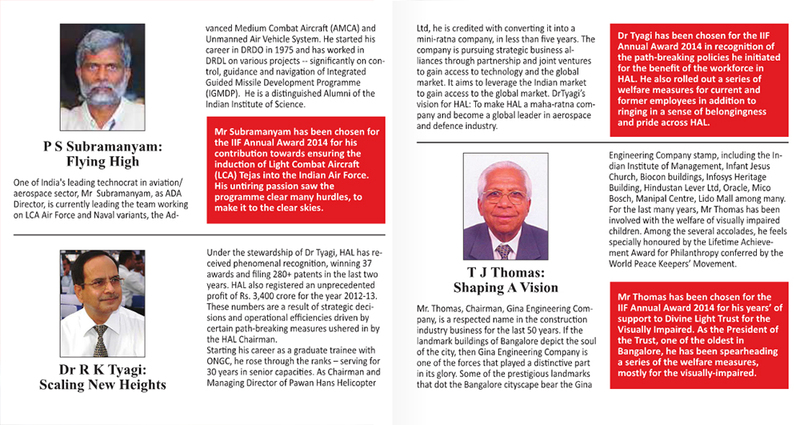 We are proud of you Srikanth!